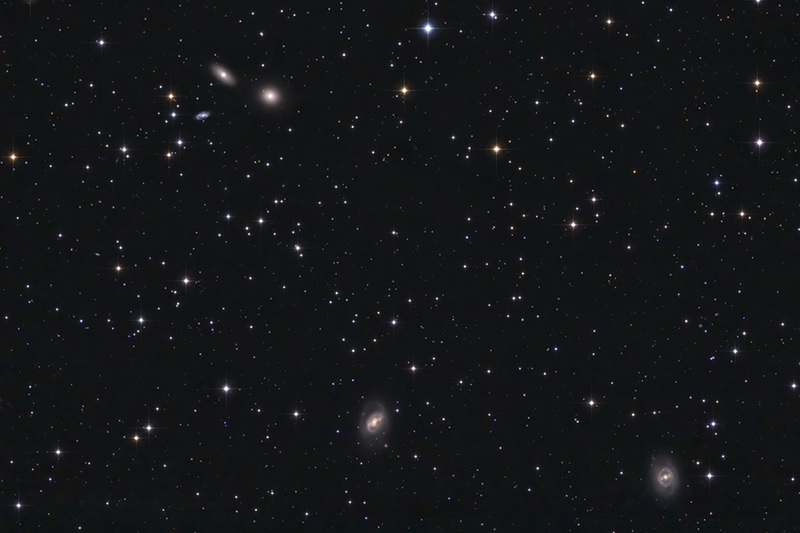 Galaxies in Leo: trio at upper left, from left to right: NGC 3373, NGC 3371, M 105; lower pair M 96 (left) and M95 (right). 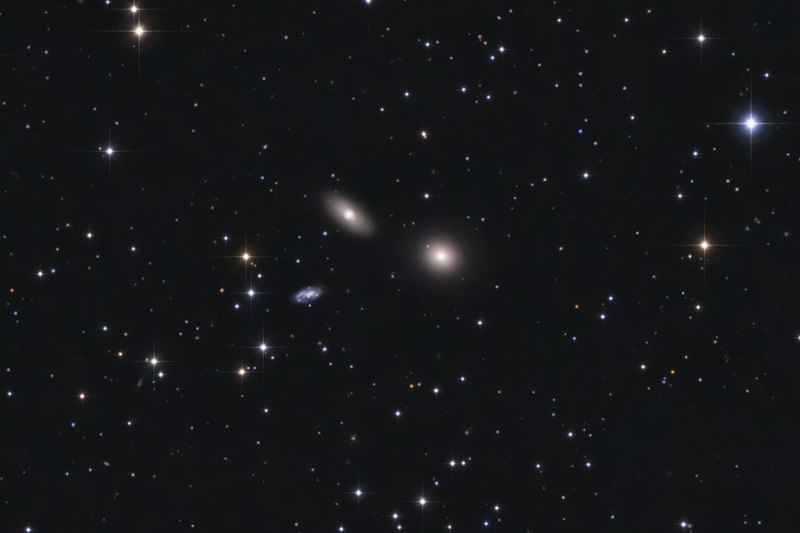 Below, detail showing the trio of NGC 3373, NGC 3371 and M 105. Below, detail showing the pair M 96 and M 95. 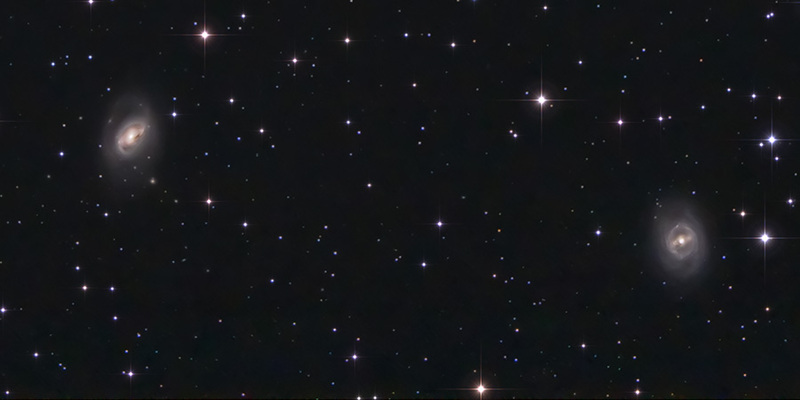 11-inch Schmidt-Cassegrain telescope at 560mm focal length; DSLR camera.